Thanks for joining the Thirty-One Gifts Handbag Giveaway! The ability to customize your own handbag - why didn't I think of that?!? When it comes to handbags, I am all about the strap. I change my everyday handbag about 3 - 4 times a year. A customized handbag could save me a lot of hassle. 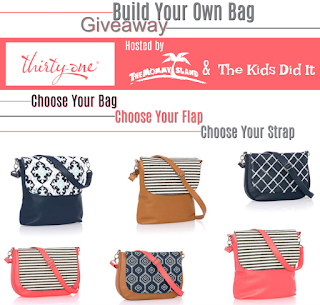 We're having a Thirty-One Gifts party and it's a #BYOB event! No, we're not talking about drinks, we're talking about Building Your Own Bag. 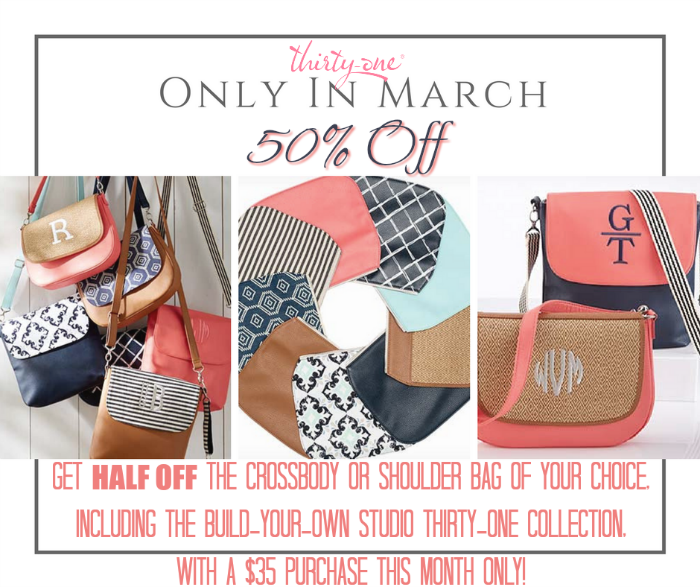 The latest arrival from Studio Thirty-One is all about you and making your handbag the way you want it. Check out the March special and enter for a chance to Build Your Own Bag. May the odds be ever in your favor! This event is open to entrants in the US, 18 years and older. Open for entry from 3/7-3/28/18 at 11:59 pm EST. The winner will have 24 hours to respond to the notification email to claim this prize or a new winner will be selected. Follow our hosts The Mommy Island and The Kids Did It then enter below!